Gardenia's roots go back to Singapore where, in 1978, it began as a humble in-store bakery. 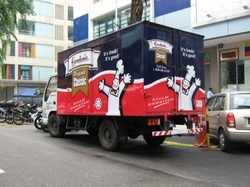 Increasing demand led to the opening of Gardenia's first-commercial bakery at Pandan Loop in March 1983. Gardenia has since been the market leader in Singapore and has expanded its operation in Asia to such countries as Malaysia and Thailand with the latest in the Gardenia chain of bakeries here in the Philippines. advanced, large-scale bread manufacturing facility that is fully automated and computer controlled. Over the years, Gardenia has gained wide acceptance and is now considered as the most widely distributed loaf brand, reaching many parts of the country. __Gardenia Philippines offers a wide array of superior bakery products including white, wheat and health breads, flavored loaves, pandesal and snack items like snack cakes, muffins and toasts. Gardenia breads are known for their good taste, freshness, softness, oven-baked aroma and nutritive value. The popular Classic White Bread is cholesterol free and bromate free, has zero transfat, and is vitamin and mineral fortified, exceeding DOH recommendations. Its product slogan "So good...you can even eat it on its own" best describes the product benefits. Gardenia, being a consumer-focused and branded food company, is singularly driven in delivering superior consumer value through providing consumers with superior products. The Gardenia trademark means value and is respected all over Asia. Ever wonder how we make our bread yummy, soft, nutritious, and smell so good? Now you can find out with our fun and educational Gardenia Plant Tour! The Gardenia Plant Tour is open to everyone. The Tour provides a better appreciation and understanding of modern bread production: Fully automated and computer-controlled, Gardenia's bread-making operation is untouched by human hands. Have some fun taking pictures on our outdoor photo areas and enjoy Gardenia delights for free! Our Gardenia Food Service team has been working closely with partners from various food institutions and food chains. The team is able to create specially-made products according to the requirements of our individual corporate customers.